Imagine telling your friends that you’re traveling to Hollywood. At first they get super excited and want to know more. Soon you realize that they mean the city in California. Immediately, their excitement dies down when you let them know that the city resides on both coasts. Not speaking from personal experience or anything. 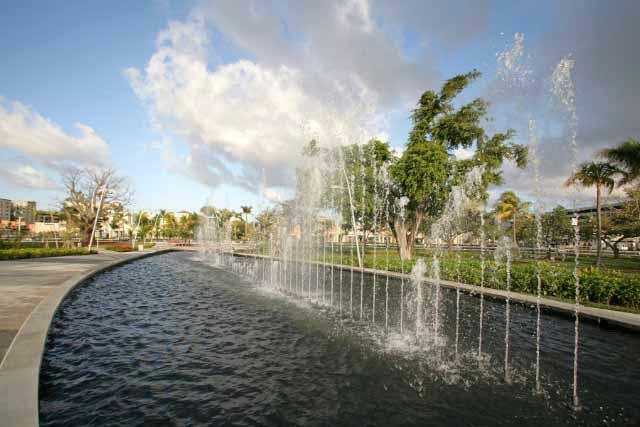 Though not as famous as its West Coast half, Hollywood, Florida boasts a large number of things to do. “The vibe is always different so there is no way you wont have fun,” said Laura Espinal, a sophomore at Sante Fe College. Bustling with diversity and fun, a day spent there will turn out more exciting than you would have ever imagined. Check out these 24 things to do in Hollywood, Florida in 24 hours. 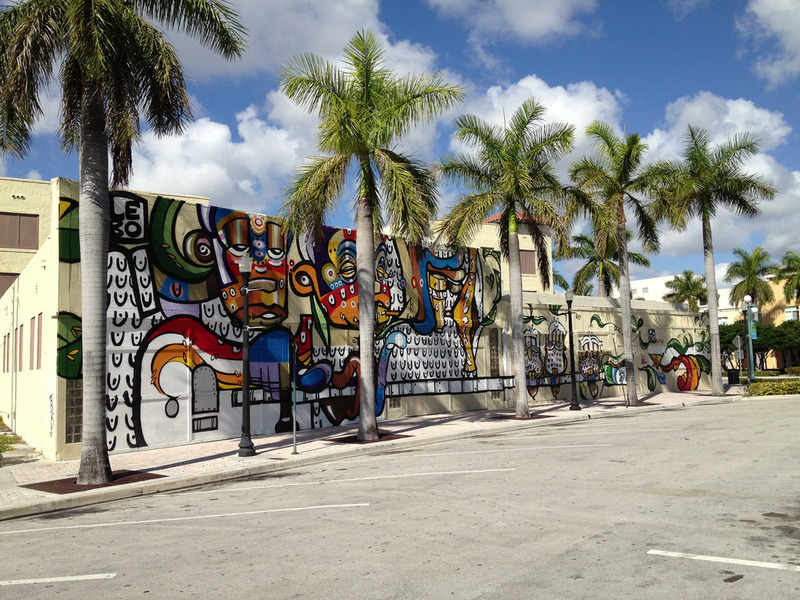 Start off the day by admiring the artwork at the Downtown Hollywood Mural Project as the sun rises. Created by national, international and local artists, the outdoor walls showcase contemporary works at popular spots in Downtown. Depicting poignant images, the mural project not only adds to the culture and beauty of Hollywood, it also expands on diversity and encourages creativity. One particular painting shows two hands outstretched towards each other before the emblazoned sun, both tangled in vines. So grab a map of the locations and try to squeeze in each piece of work. The Everglades National Park holds the title of largest subtropical wilderness in the entire nation. Home to several endangered species, such as the manatee and the Florida black panther, over 390 different species inhabit the park. You can also try to spot a rare cottontail, a lounging streamlined river otter or a heart-stopping Caiman. Spreading more than a million acres across, you will see more than you thought possible for miles and miles. 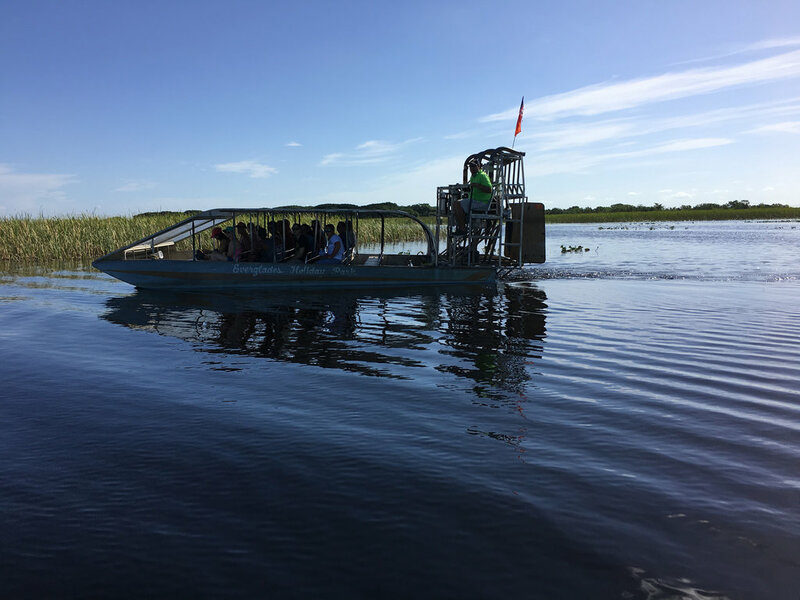 For one hour, get a two for one deal with both an airboat ride for the aquatic animals and a nature walk for the land living ones. Opening at 8:00 in the morning, the largest farmers market in South Florida takes place right in Hollywood. 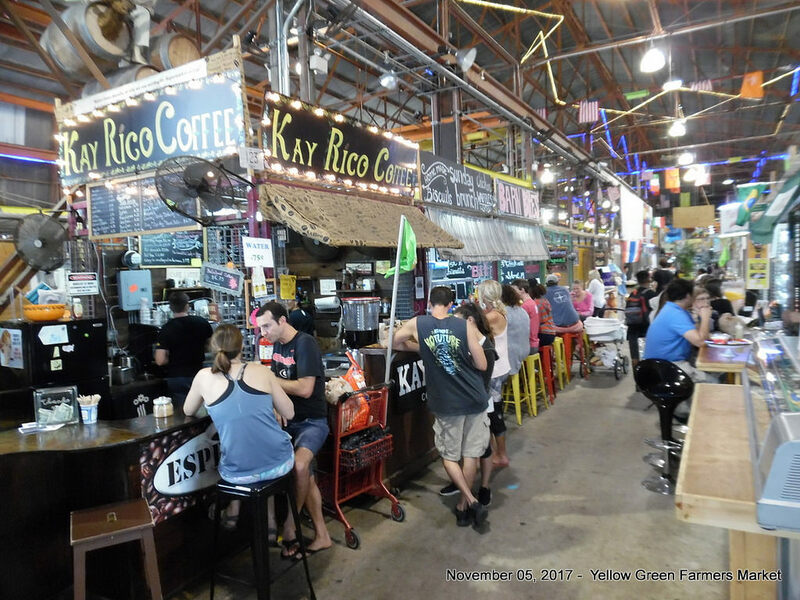 Over 300 booths make up the Yellow Green Farmers Market’s 100,000 square foot facility. “One of the things that I like the most is the Yellow Greens Farmers Market since I can go with my family and my dogs,” UF senior Julia Coltters said. “I love the ambiance and there’s a lot of Hispanics stops with great music.” Everyone greets you happily with a warm smile as you pass, listening to live music and smelling the smoky barbecue. From freshly produced foods to uniquely crafted artisan goods like crocheted blankets, the year-round market offers seasonal eatings and possesses an earthy, welcoming atmosphere. A great spot to fill up, Pollo Tipico serves traditional Dominican dishes and drinks.“I like everything about Pollo Tipico,” Espinal said. 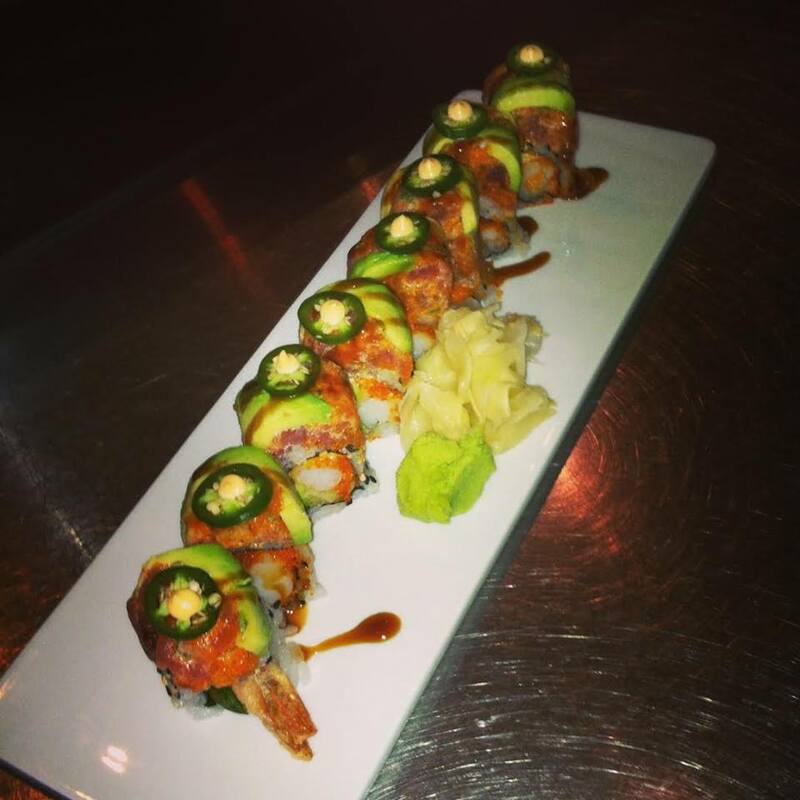 “The food is exquisite, the service is always on point and the environment is welcoming. And let me not forget to say how they don’t try to give you a little amount of food; it’s a big plate every time.” A popular plate, mofongo consists of deep fried plantains mashed together with other ingredients such as shrimp or pork. And you cannot forget to have tostones, which are flattened and fried plantains, alongside some savory Chicharron de Pollo, also known as crispy fried chicken bites. Pollo Tropical, who? I only know Pollo Tipico from now on. 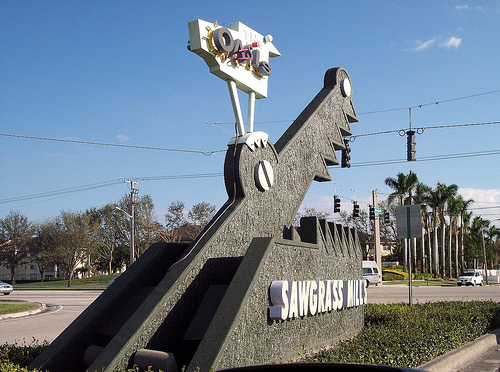 Sawgrass Mills, the largest outlet shopping center in the nation, contains more than 350 stores to choose from. I hope that you start to see a trend here. Including stores such as Bed, Bath & Beyond, Tommy Hilfiger, Ralph Lauren, Nike, Brandsmart USA and Saks 5th avenue, you can find pretty much anything that you need. On top of all that, a portion of Sawgrass, called The Colonnade, serves as the spot if you want to feel a little bougie. Specific for luxury retail, this particular part of the mall has exclusive outlets such as GUCCI, Prada and Versace. Window shopping becomes our best friend here, because we all know that us broke college students can’t afford luxury goods. And as if that weren’t enough, Sawgrass also boasts fifty one eateries and an IMAX theatre. An hour here definitely won’t do it justice. One of the first structures built in the city, the Hollywood Art and Culture Center first opened in 1975, though the building stands from around 1934. You can view six contemporary art exhibits: five with works from talented artists such as Jane Cassidy, and one that showcases new artwork made by students from schools within the county. In addition to art, the center holds live performances in its theatre, from small camp productions to professional ensembles from locals. Fostering creativity, growth and inclusion, the center also provides educational programs for students to further artistic development and cultural knowledge. A Craft Beer Bar and Kitchen, Tap 42 has forty-two different beers to choose from. 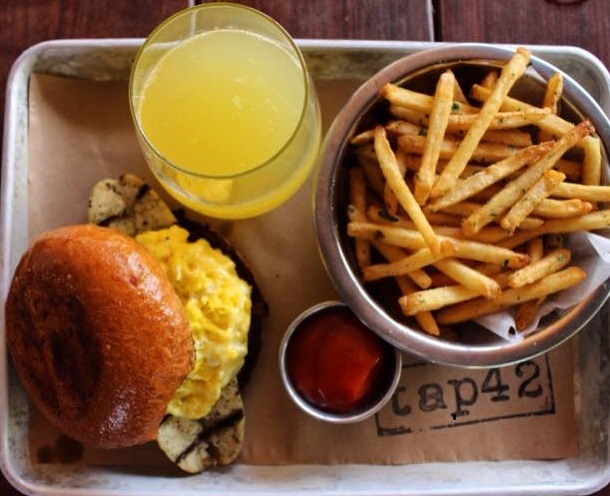 “Tap 42 is a great place to eat and go for brunch,” Coltters said. “The place is pretty and it offers a top-notch service, which is important for me.” The weekend offers the Bottomless Brunch Special from 11 a.m. to 3 p.m., which gives you unlimited drinks for a low price of $20. From the massive Hangover Sandwich to the creamy Oven Baked Shrimp Mac & Cheese, Tap 42 does not get its four plus star rating for nothing. The Hangover Sandwich consists of a sunny side up egg, some fresh, smashed avocado, hash browns, white cheddar cheese, crispy bacon and some drizzled aioli all over chicken apple sausage between two buns. For a fun lunch surrounded by laughter, big screens and boisterous music, Tap 42 won’t let you down. 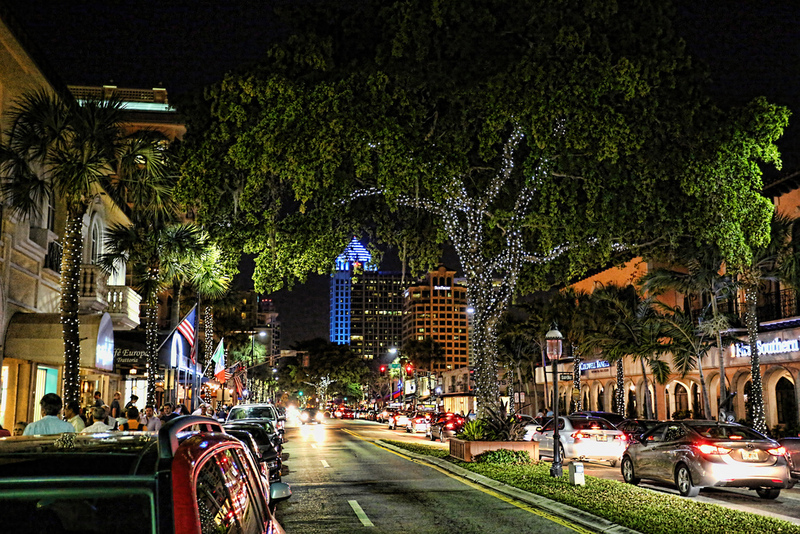 Just as great as The Sunset Strip, if not better, Las Olas Boulevard redefines the strip leading up to the beach as the go to spot. Not just another street full of shops, Las Olas consists of vibrant clubs, lively music and absolutely delicious restaurants and bistros. “In Hollywood, the first restaurants that I think of are going to be on Las Olas Boulevard,” Coltters said. Just imagine walking down the street in shorts and sandals, as the tempting smells of Asian rice and freshly baked cookies drift to your noise and make your mouth water. As you amble along, you can’t help but slowly sway against the breeze as the strumming of a guitar hits your ears. Turning your head, your eye catches a must have clothing item. Las Olas doesn’t get the name paradise for no reason. Forget the land. A great way to truly explore the city of Hollywood and its neighboring cities lies in the water. 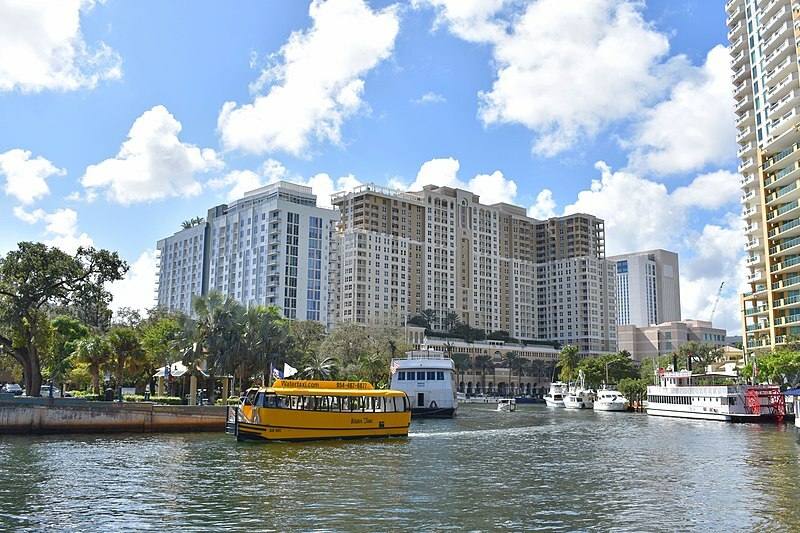 Not just any boat ride, the drivers of the Water Taxi act as tour guides, knowledgeable on the many attractions, such as the historic Stranahan House Museum, that you can view from the water. Not only do you get to hear about the attractions, but you also get to learn some interesting and cool facts about the gorgeous, sprawling mansions that line the waterways. Making a stop at the Margaritaville Resort and the Hollywood Boardwalk, you can catch a trip to your next outing just as you would a ferry. 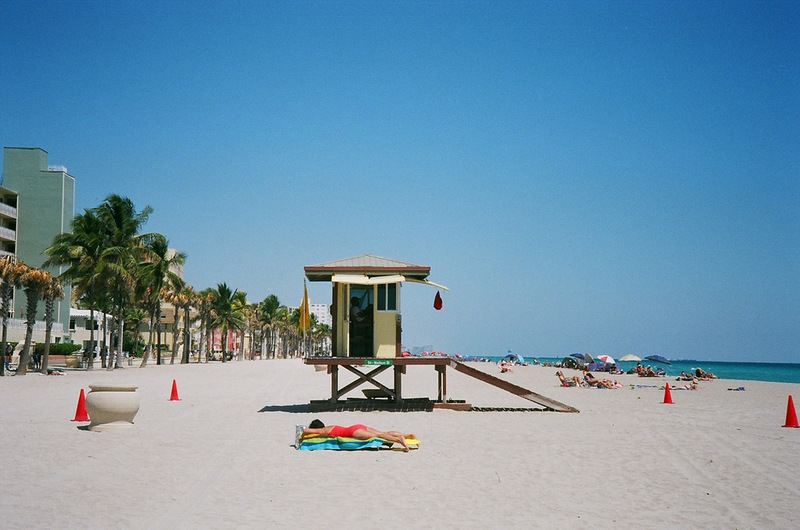 Now, would it really be a trip to Hollywood, Florida without stopping by the beach? A beautiful vacation spot, Hollywood Beach lies between Miami Beach and Ft. Lauderdale Beach, but it doesn’t get as congested or wild as its neighbors. “As cheesy as it sounds, I prefer going to the beach because I feel it’s a great spot for pictures and… there is no beach near Tallahassee,” FSU freshmen David Lustgarten said. Life seems to just stop for a while, as you tan in the sun to the sound of waves crashing along the shore. Furthermore, on the northern end lies Hollywood North Beach Park, where you can fish, hold events, bike and so much more. Where should you grab a bite while by the Atlantic? “At the beach it would be Rocco’s,” said Linda Garay, a freshmen at University of Central Florida. 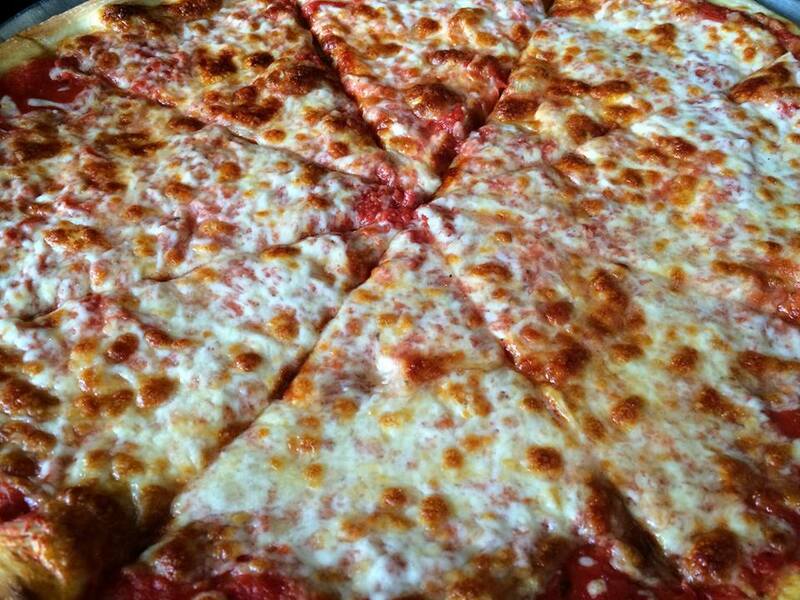 “ Rocco’s is the place to go when you’re hungry after swimming. It gets crowded fast and quick.” A family-owned restaurant, they serve authentic Italian pizza right in the heart of Hollywood beach. Live music plays five days a week, as you enjoy pizza worthy of any New Yorker’s praise. With a lax, casual environment, you can enjoy a slice of steaming, cheesy pizza as a cool breeze tickles your nose with salted air. Just because Florida Beaches don’t get gnarly waves doesn’t mean that you can’t surf. At the Margaritaville Beach Resort, you can hop on the FlowRider and put your skills to the test. 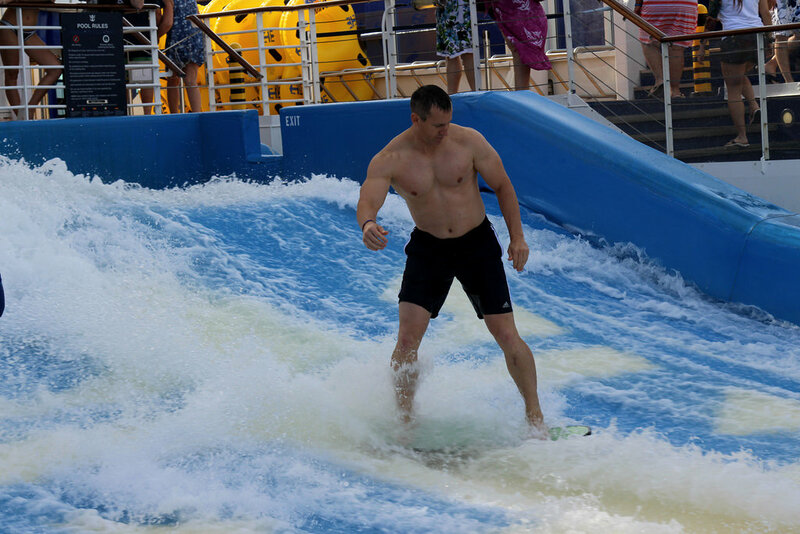 One of the most popular surfing simulators, FlowRider Double, produces surfing experiences for different skill calibers. Anyone can go for the challenge, but prepare for a wipeout the first couple of times. Open to the public as well as the resort guests, anyone can give the rider a try. So grab a board and get your adrenaline pumping as you brave the waves. Have you ever watched those extremely satisfying or captivating YouTube videos where a person blows into glass to create artwork? 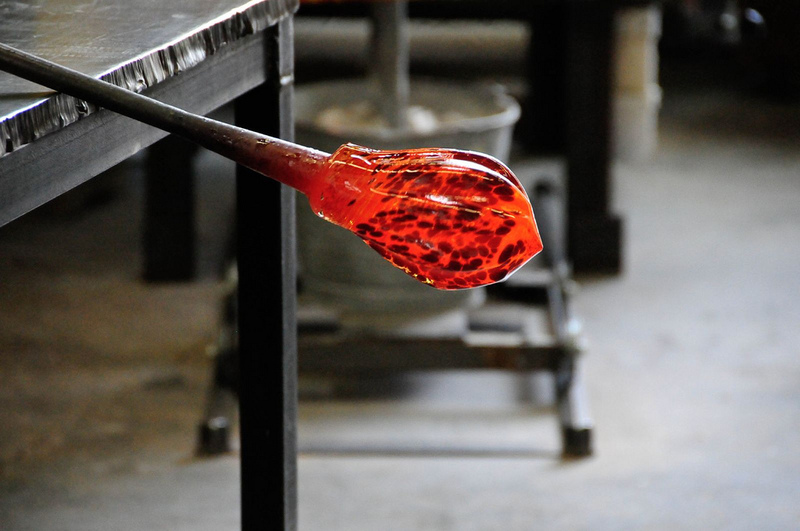 Hollywood Hot Glass offers a program that teaches you how to blow into hot glass and create glass pieces. The key behind the skill comes from manipulating the material after heating it up at intense heats. They also offer cremation creations in which you can forever remember loved ones by memorializing them into glass. In each class you get the opportunity to work one-on-one with a professional instructor. From ornaments to tumblers, your options go on and on.. The fifth largest mall in America, Aventura Mall stands three levels tall. Home to over 300 luxury boutiques and stores, such as Givenchy and Louis Vuitton, this mall holds one of the top spots for best malls in the country. “Everyone who visits Hollywood has gotta hit up Aventura Mall at least once,” said Chidi Ohno, a freshmen at Sante Fe College. “There’s this huge slide that you can ride down, which kinda gives off a slight theme park vibe. 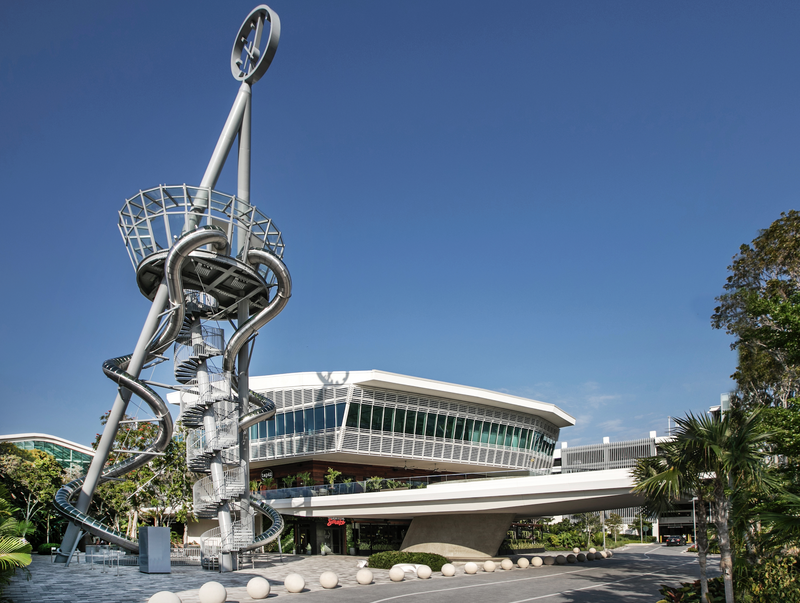 Besides that it’s a great place to walk around, window shop, grab a bite … There’s a million things to do here.” Along with the famous Aventura Slide Tower, the mall also incorporates a collection of sculptures and pieces within its walls, some of which have been made specifically for the mall. One particular sculpture, for example, takes the form of a bent hanger standing on its edge. A non-profit arthouse theatre, Cinema Paradiso shows independent fills from all over the country and world. 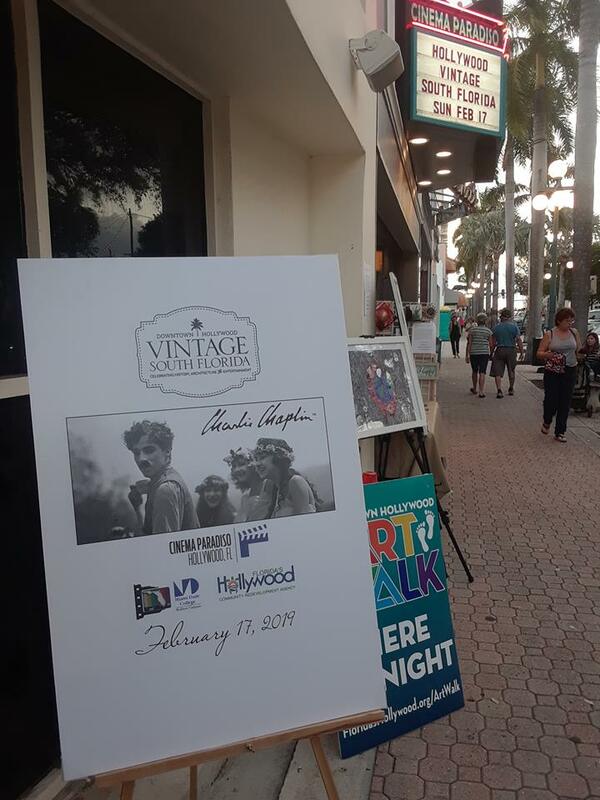 Owned and run by Fort Lauderdale International Film Festival, this cinema resides in the heart of Downtown Hollywood. Even with a small building, the place possesses a distinct charm. As a matter of fact, the size makes the place cozy and comfortable with its stadium seating, adding that much more to your cinematic experience. You can watch Woman at War, a gripping European indie film about a woman’s fight against industry, or Never Look Away, a chilling love story filmed in Germany. 9 P.M. Cheer on the Heat. Though we don’t sport the big three anymore, catching a Miami Heat Game at the American Airlines Arena never gets old. 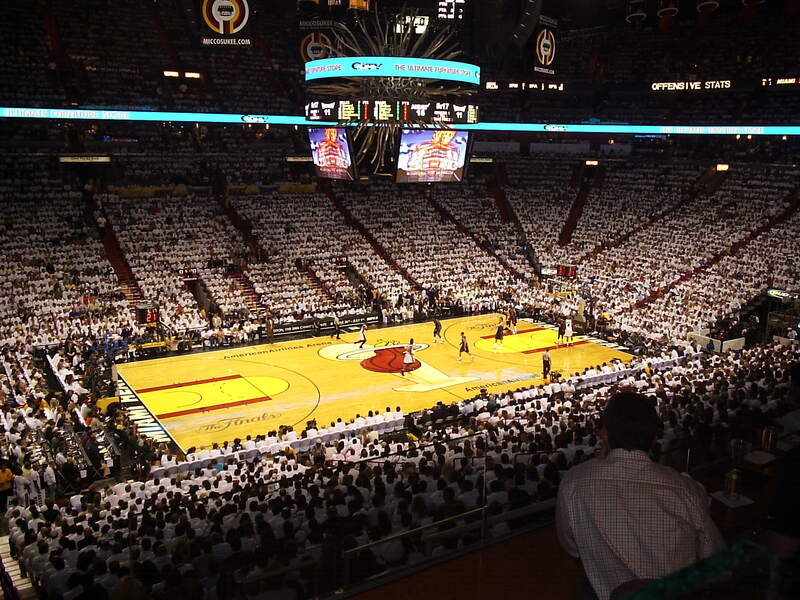 “I always try to go to a Heat game when I’m down because I feel at home when I go to the games,” Lustgarten said. Don’t like basketball that much? The camaraderie within the walls once the game begins may just make you reevaluate that a little. Soon enough you’ll find yourself cheering after a score and yelling at a poor call. Plus stadium food hits home to any junkies heart: nachos, burgers, hotdogs, pretzels, pizza and churros for days. .
One of the best restaurants for authentic El Salvadorian food, El Atlakat will introduce you to food that will make you question if a portal to the home country lies behind the kitchen door. 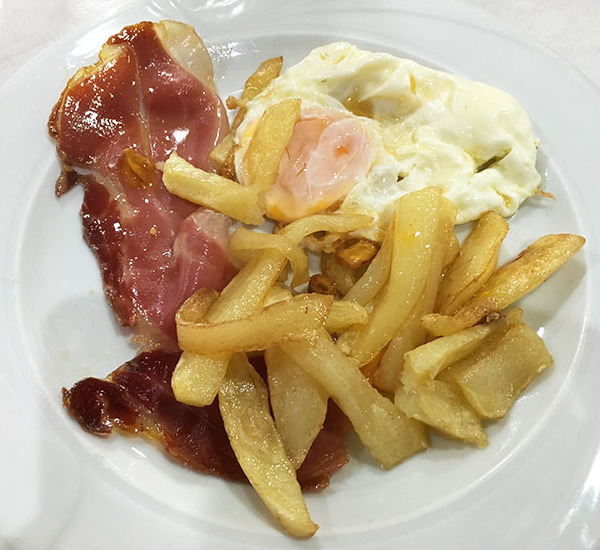 “El Atlakat offers a homey atmosphere,” Garay said. “It’s a very loud and busy restaurant, which I like because my family is loud and when we eat there, we blend.” Part of Hollywood’s beauty comes from how much diversity the city has with many different ethnicities blending together. Must haves include tamales de gallina, huevos con jamón and pupusas de queso. Biting into the oily chicken filled corn dough with a side of egg and savory ham, as well as cheesy cornmeal flatbread, never sounded so good. The park named after the City’s founder, Joseph Wesley Young, Young Circle offers a plethora of activities from entertainment to educational to recreational. “Visiting Young Circle was the highlight of most of my trips to Hollywood with friends,” said Enzo Ambrose, a sophomore at Notre Dame University. “Young Circle is very well-kept and the people that tend to be in that area of Hollywood have all been very friendly to me in the past.” Local artists and groups often perform in the park’s 2,500 seating amphitheater. The Park, too, has an art gallery for visitors to walk through. In addition, you can watch little pop up demonstrations that come and go, such as a glass blowing demonstration. 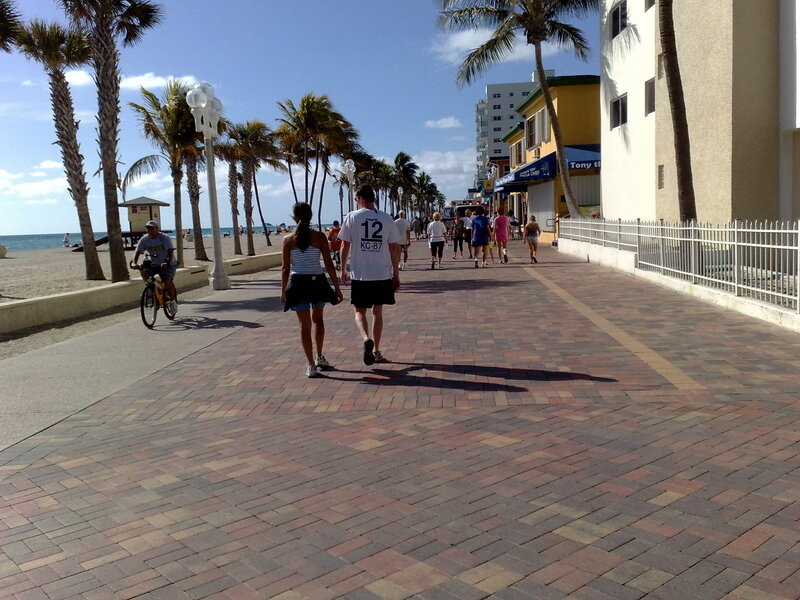 Stretching 25 miles long, Hollywood Beach Boardwalk becomes an event on its own. And Travel + Leisure magazine agrees, titling it one of the best beach boardwalks in America. The brick-paved walkway makes the perfect spot for biking, skateboarding and so much more. “I enjoy roller skating on the Hollywood beach boardwalk,” Espinal said. “The view is amazing and the people are fun. You never know who and what you will run into.” Restaurants and shops line up and down the boardwalk, as well as renowned hotels such as the Margaritaville Beach Resort and the Diplomat Resort & Spa Hollywood. In addition, the boardwalk contains two parks for kids of all ages. Though they opened just a decade ago, Sushi Song Bar & Lounge lives up to its name of “phenomenal sushi bar.” Priding themselves of having the freshest fish of any coastal city restaurant, the food definitely touches the palate in a new and exciting way. Make sure to try their Tuna Tataki—seared tuna served along black tobiko and scallions, with a Ponzu sauce on the side. “Their sushi is really good but if you’re looking for something different, go for their ramen: hot and homemade,” said Ethan Lieberman, a freshmen at Boston University. Opened until two in the morning, this spot caters to the patrons who enjoy nightlife. With chic decor giving off a New York ambiance, the restaurant has a sophisticated, yet young and soothing atmosphere. Just to paint the picture of the allure of the Hard Rock, lets just say that come 2020 a 450-foot tall guitar will not only become the new Hotel and Resort, but will also get crowned the world’s largest guitar-shaped structure. 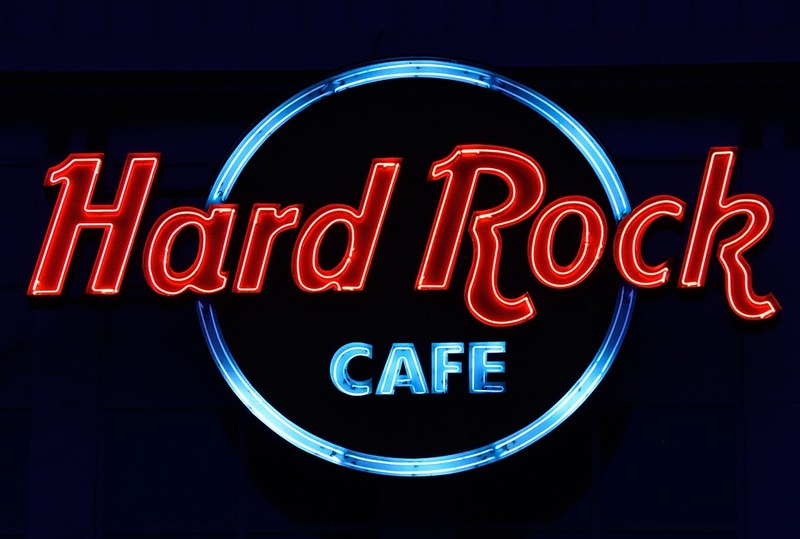 A triple threat, the Hard Rock consists of a hotel, cafe and casino. This one stop destination has it all.“It thrives at night,” Garay said. “You can either spend your money on clothes or souvenirs or gamble it away at the casino.” With celebrity comedians like Kevin Hart and performers like Evanescence taking stage at the Cafe and slot machines ringing, the Hard Rock holds loads of entertainment and fun. El Pikete Sports Bar & Lounge marks many nights out in Hollywood. 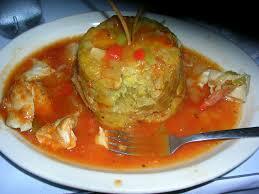 “El Pikete is intense,” Espinal said. “Dominicans will show you how to party for a fact. 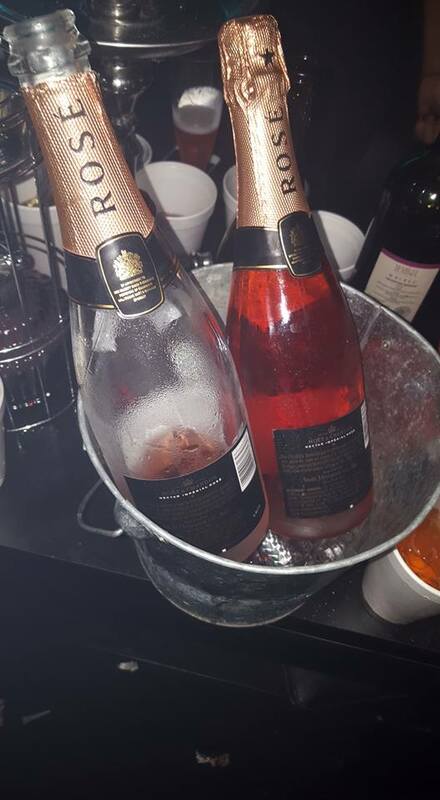 They have drinks, hookah and loud Dominican music so get lit.” Something about South Floridian diversity adds to the electricity of clubbing. The loud Latin music at El Pikete hits different on so many levels. From the Caribbean vibes to the flavorful Latin appetizers and drinks, this bar makes for a great night out. 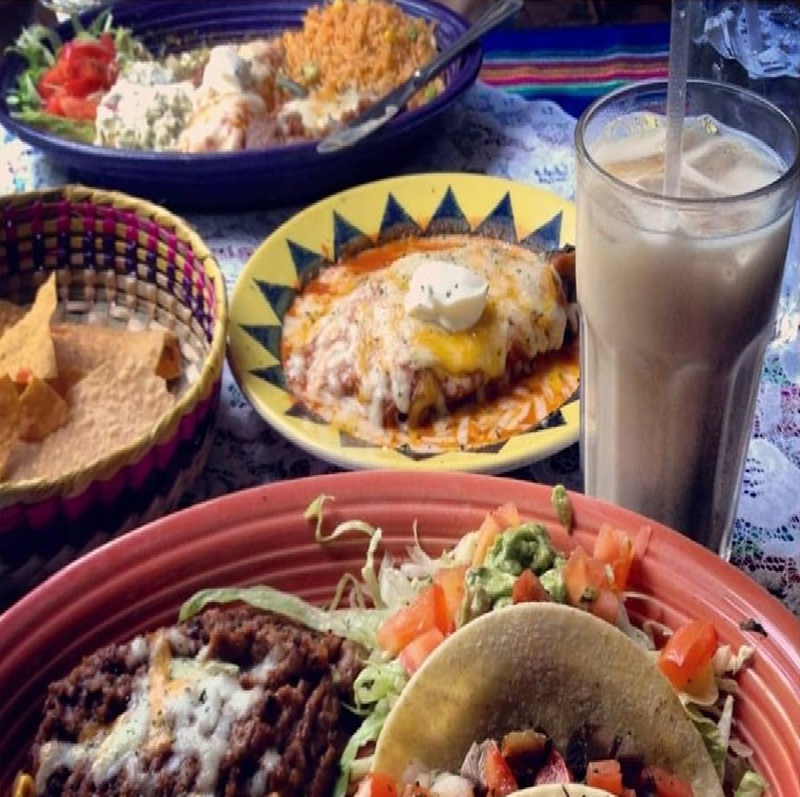 Open 24 hours a day, Paquitos Mexican Grill serves authentic Mexican food, as its name would suggest. Found on the Hollywood Boardwalk, the bar makes the perfect stop to end off an extremely late night out. With the goal of making food just as you would find in Mexico, Paquitos will not disappoint. Start off with a refreshing plate of ceviche mixto , load up on hearty chimichangas, and then finish it off with a classic, sweet flan. And to top it off, wash it all down with some Anejo. Your mouth will explode from pure bliss when you eat their marinated mix of raw fish and seafood and drink their tequila aged for at least a year. Just shooting ideas here; you can’t really decide from such an appealing menu. 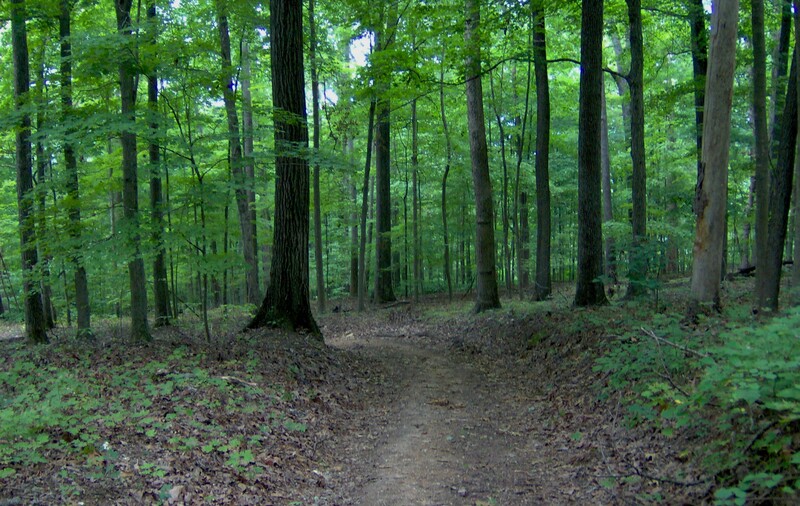 With sprawling trees, walking into Sheridan Oak Forest feels like entering into another land. After a long night out or to kickstart an early morning, walk down one the trails and get lost in the beautiful scenery. A favorite spot for nature lovers for its resemblance to an actual forest, you can also learn more about the vegetation, such as Peace lilies and Lanceleaf Tickseed, from posted signs when following the paths. Many people believe the common misconception that Hollywood does not have that much to do. In such an ideal location and with so many attractions and activities, this list only scratches the surface on all that the city has to offer. 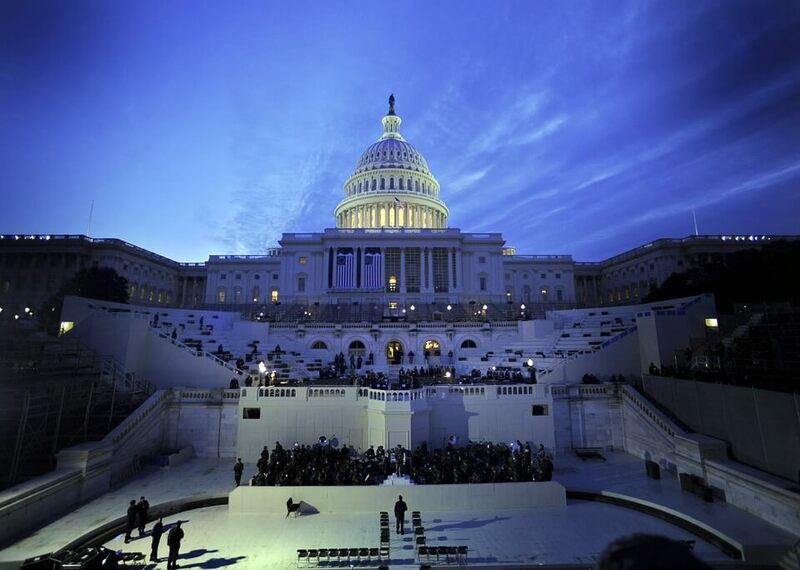 “Crafting your own Hollywood experience is most of the fun,” Lieberman said. Trust me, the list of all the restaurants, clubs and attractions stretches to the moon and back. Alexa is a freshmen at the University of Florida. A lover for plenty of things from writing to film to working out, she struggles to pick favorites -- but she will try! Her ultimate career dream is to become a full-time, critically acclaimed novelist or writer.